Huawei just dropped its 2016 flagship at CES. 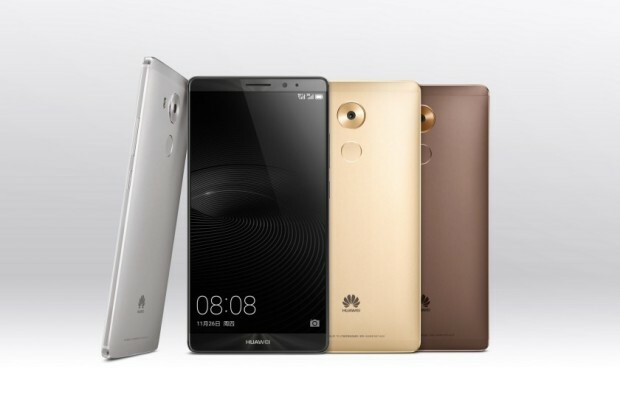 The Huawei Mate 8’s most notable feature is a 4000 mAh fast charging battery along with a buffed up processor and an improved fingerprint scanner. The sleekly designed phone features a six inch HD display with a slim bezel that runs on Huawei’s Kirin 950 octa-core processor. On the imaging side it lugs a 16 megapixel rear facing camera with an f2.0 aperture coupled to an 8 megapixel front facing camera with an f2.4 aperture. The main camera is capable of shooting 1080p video and 720p slow motion video. Huawei claims that battery life can easily last for two days on a single charge and charging the phone for merely half an hour is enough to keep it going for a day. On the other hand Huawei also boasts the phone’s improved finger print scanner stating that it’s 100 times faster than its predecessor in this aspect. The phone will be available with Android 6.0 Marshmallow from launch but Huawei decided to include its unpopular EMUI in to the package. The phone is going to be available in four colours, champagne gold, moonlight silver, space gray and mocha brown, and in two variants. Either 3GB of RAM and 32GB of internal storage for 643 USD or 4GB and 64GB respectively for 750USD. Huawei is currently the third largest smartphone maker in the world but it is slowed down by its cumbersome user interface. The company recently baffled audiences with the Nexus 6P, maybe if the Mate 8 ran vanilla Android it will be received better by audiences outside of China.